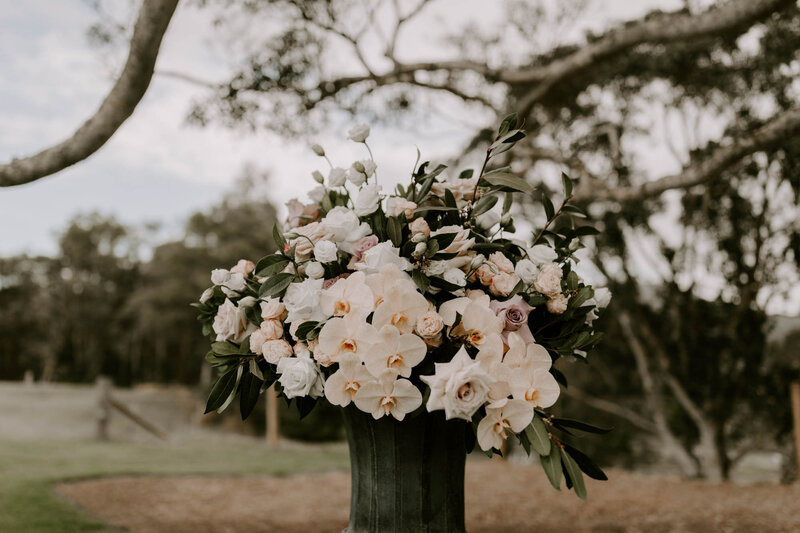 Morgan and Christian’s vision for sleek contemporary florals and sophisticated styling for their wedding day celebrations at beautiful Yandina Station, and their love of simplistic beauty and modern accents collaborated in unison as we created their floral brief accenting modern bloom style for their dream day. 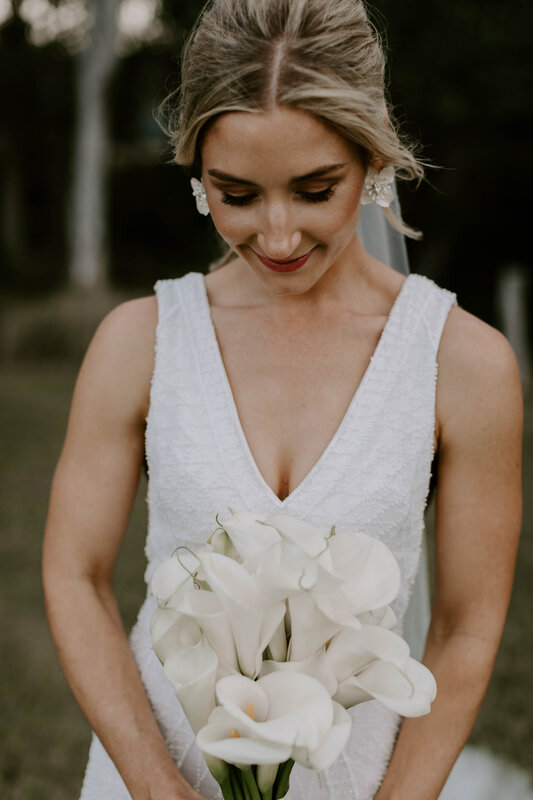 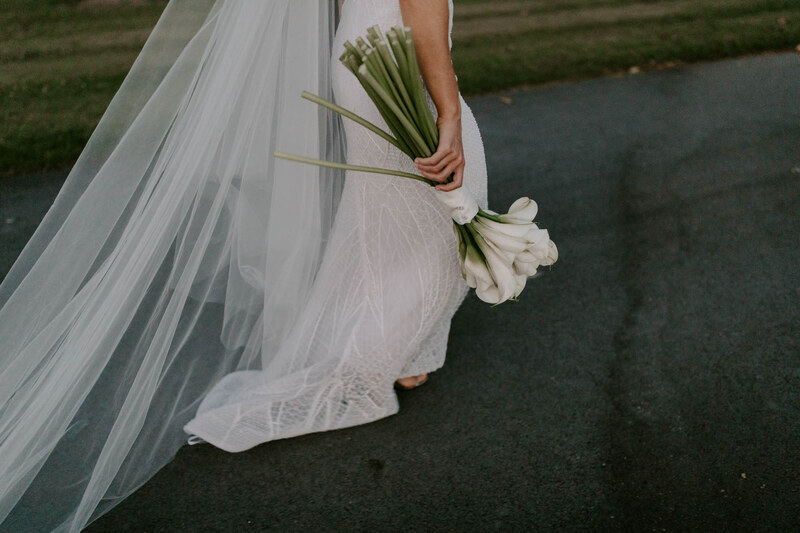 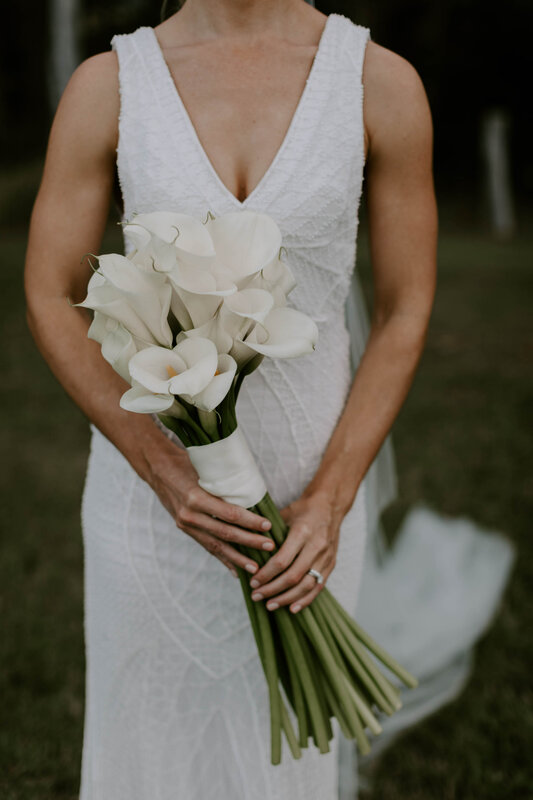 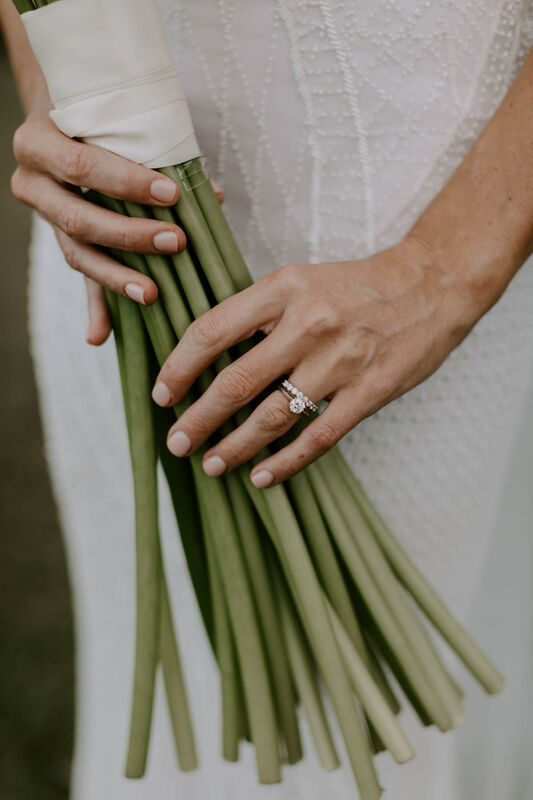 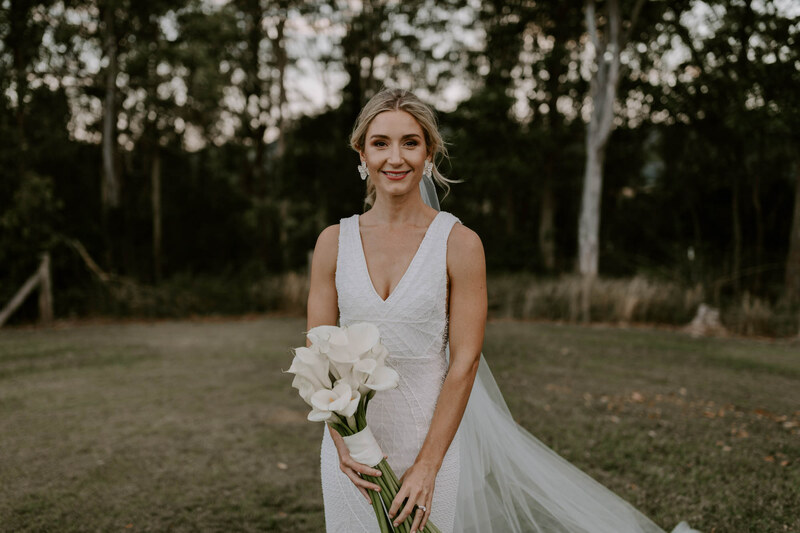 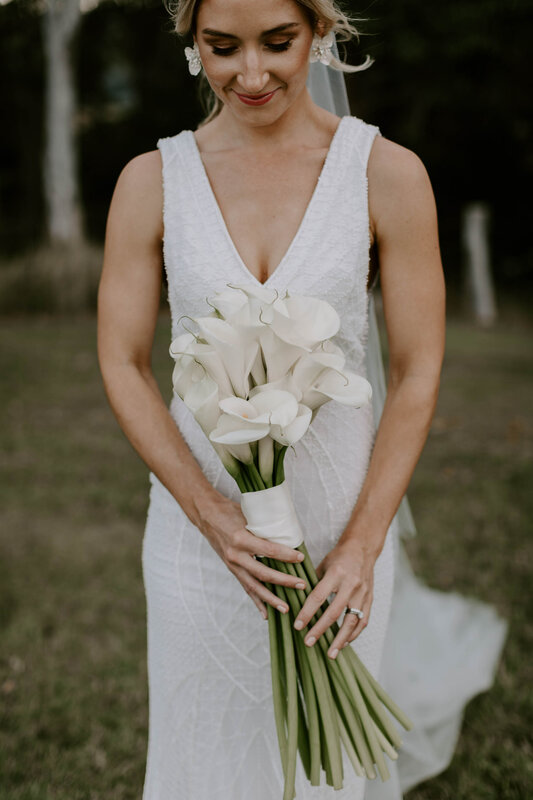 Morgan’s bridal bouquet = sleek and chic, the long stem arum lilies, so much style. 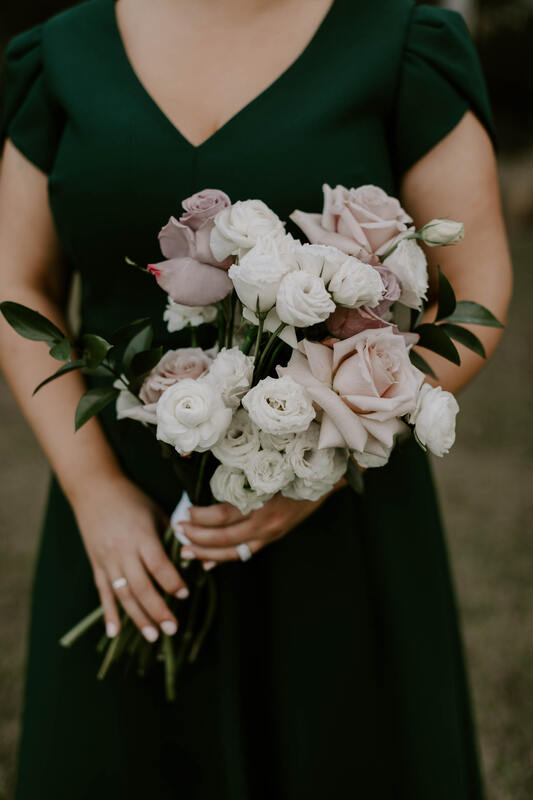 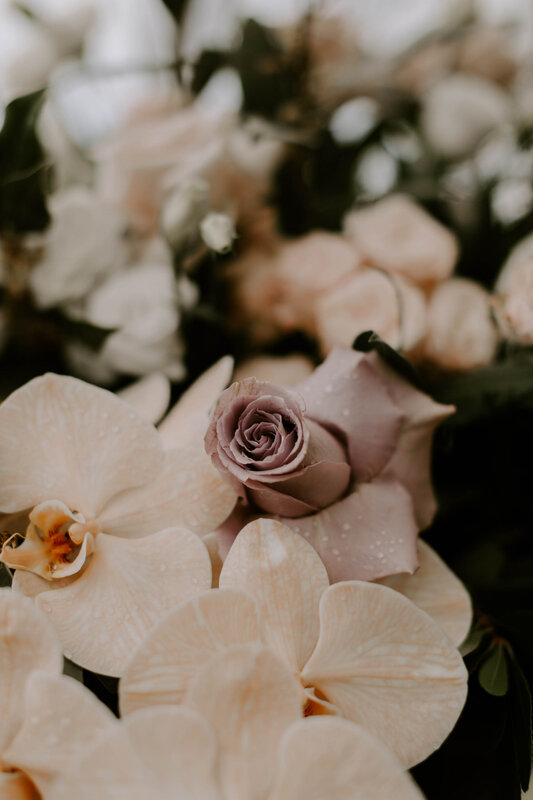 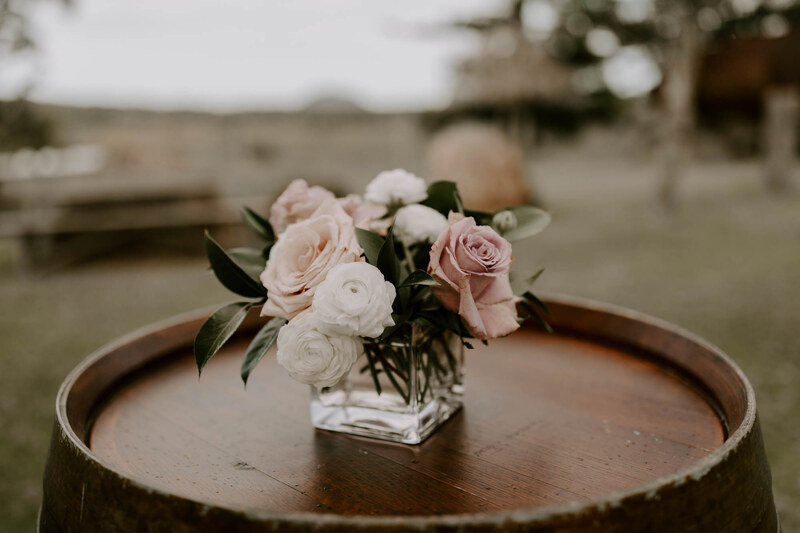 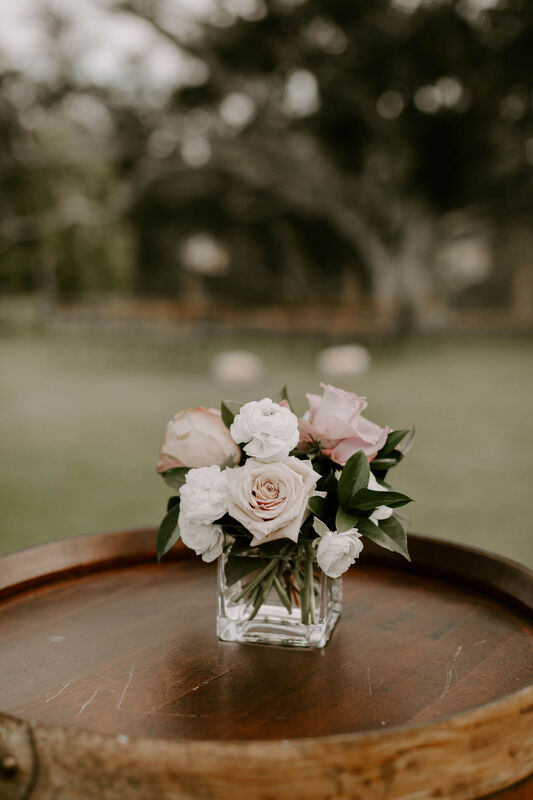 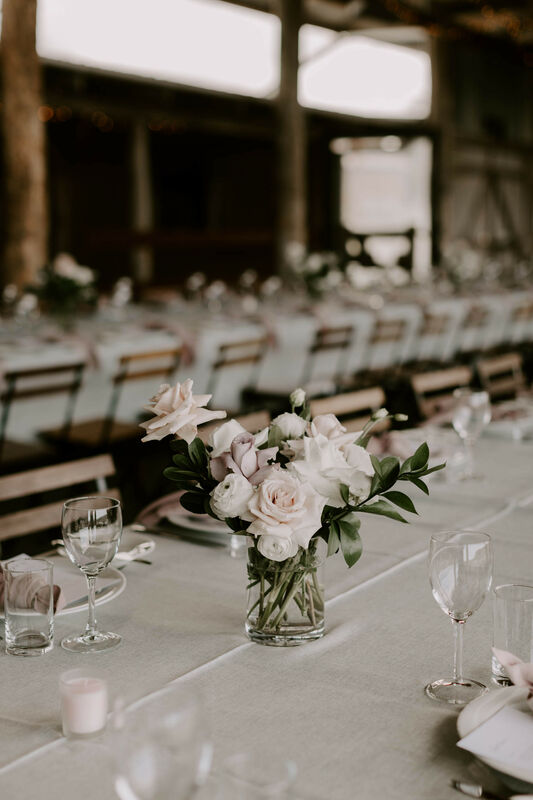 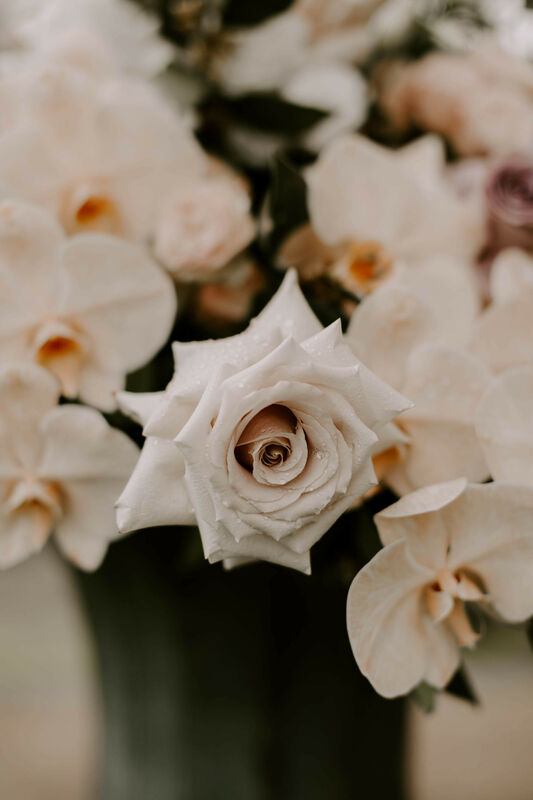 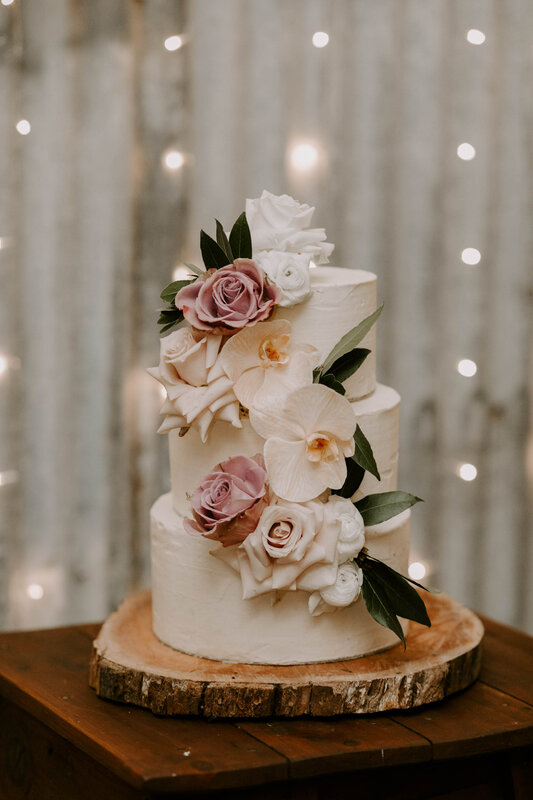 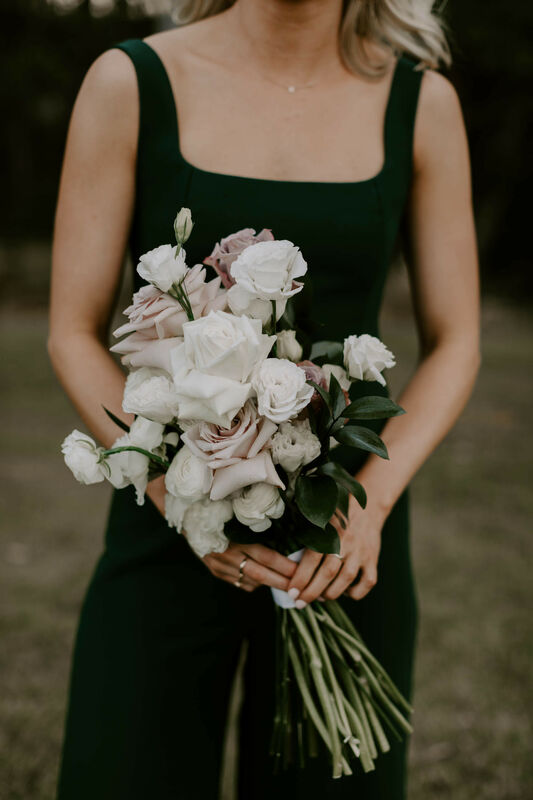 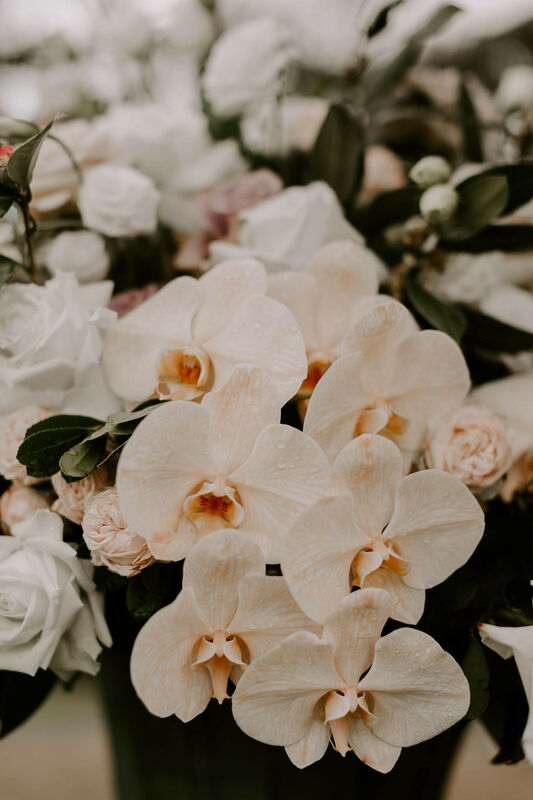 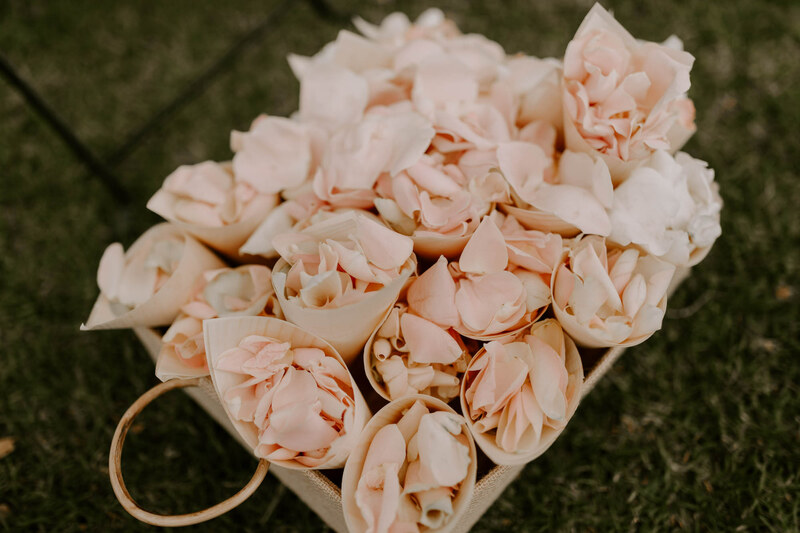 Touches of blush and antique pink blooms were partnered with crisp white flowers and foliage to create longer stem collaborative bouquet designs for the gorgeous bridesmaids. 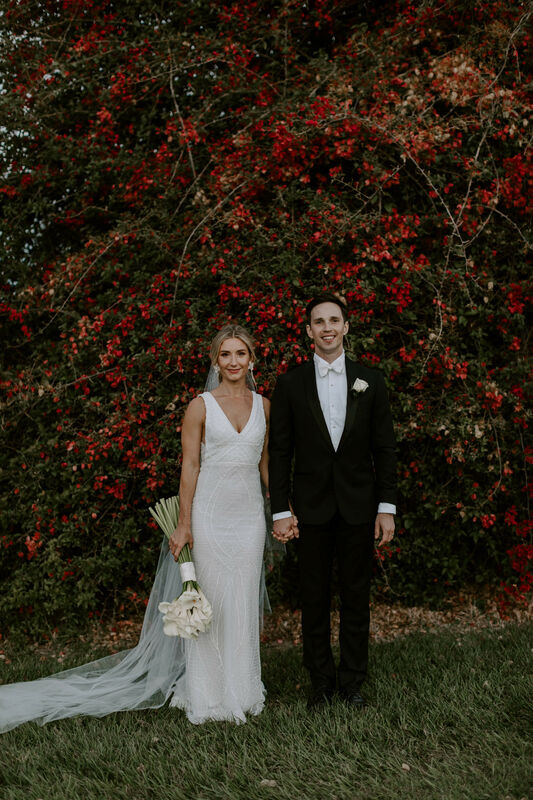 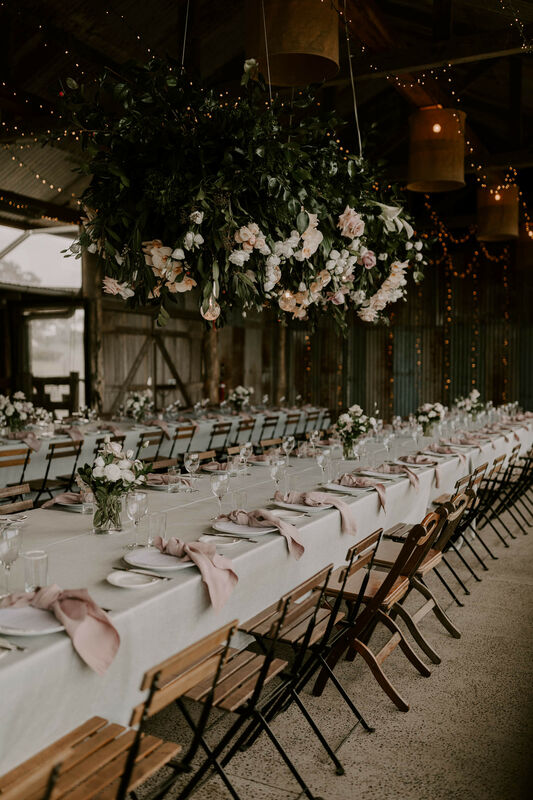 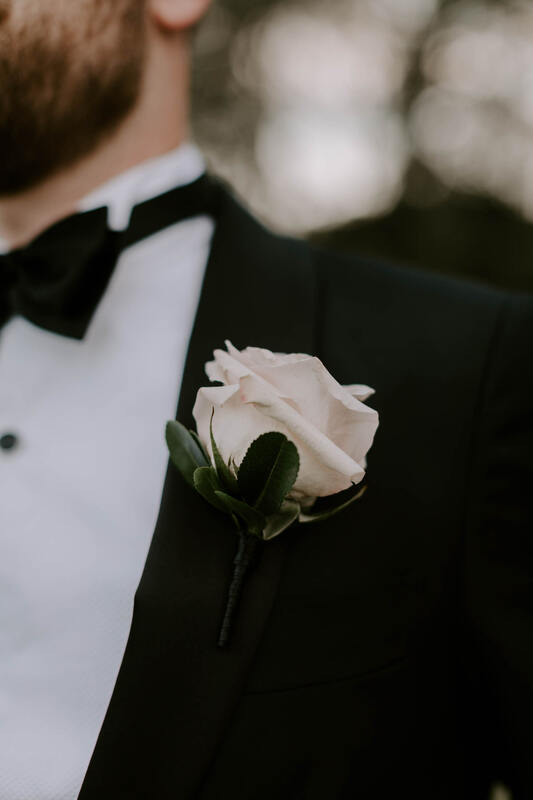 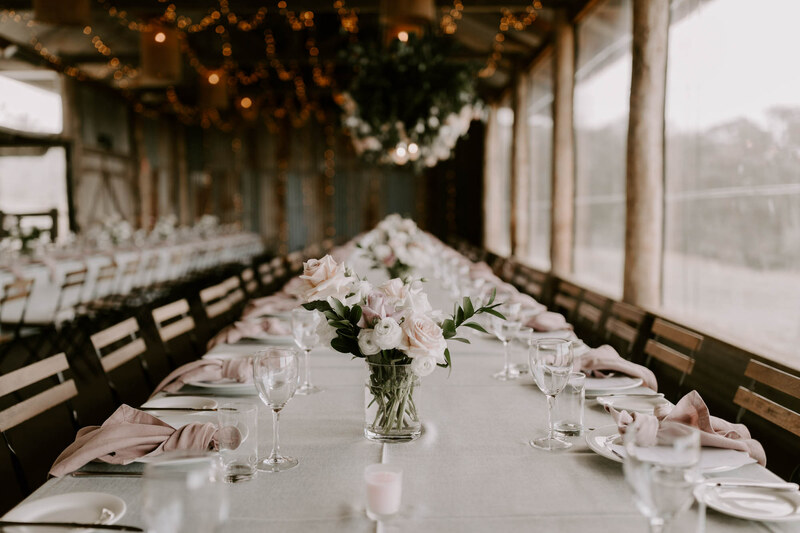 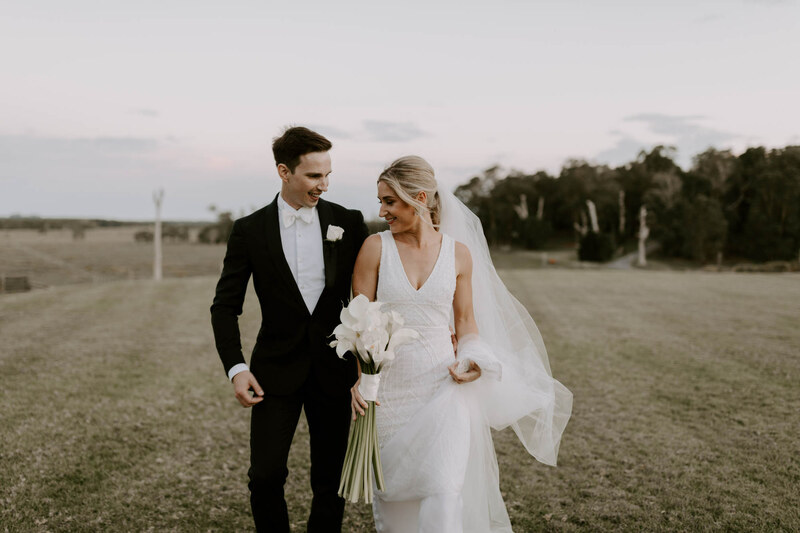 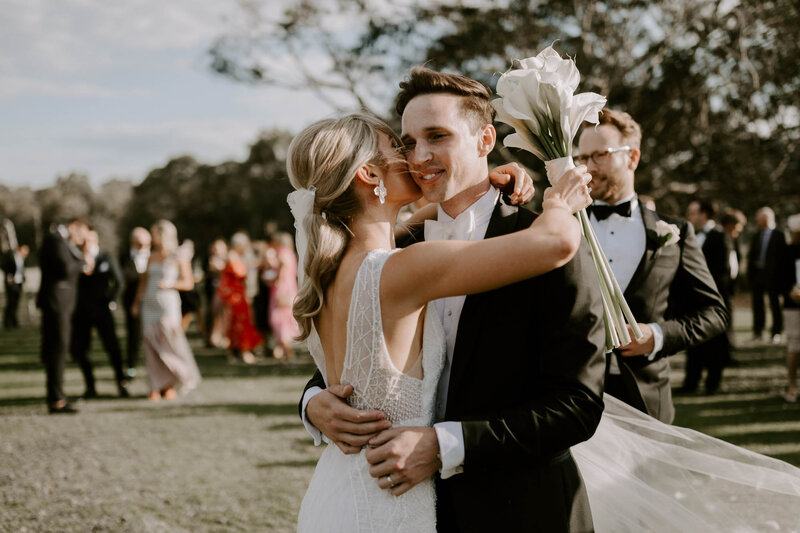 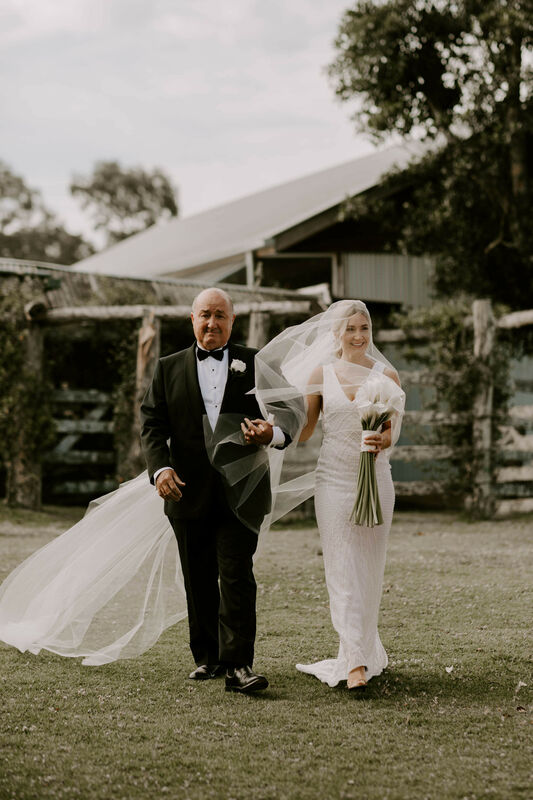 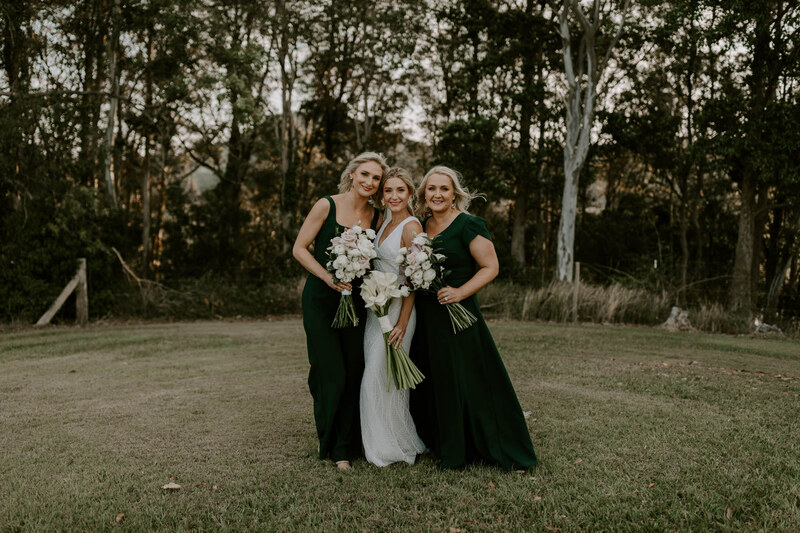 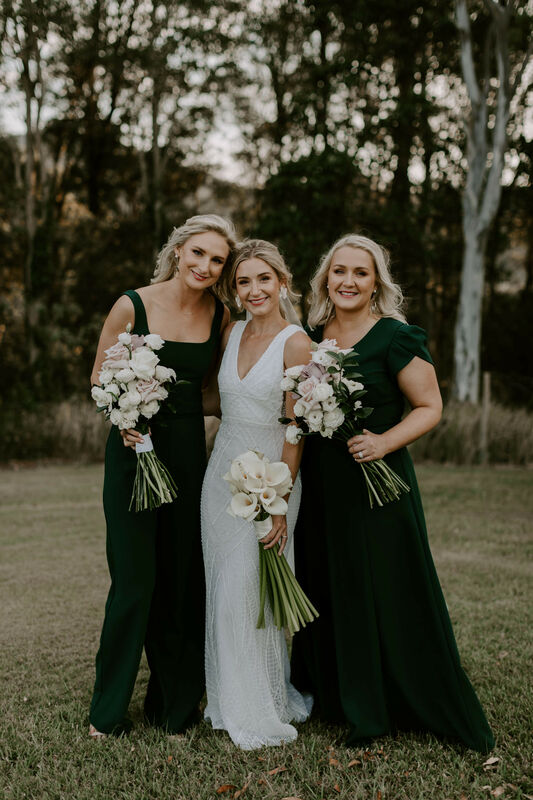 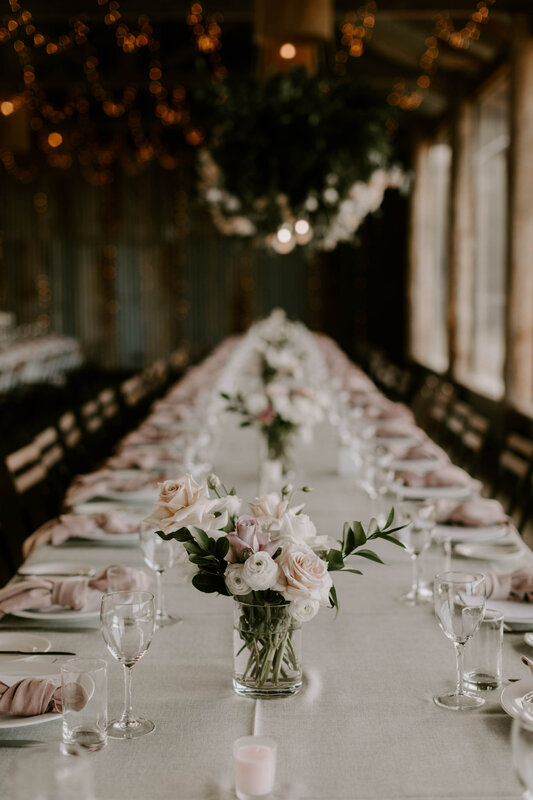 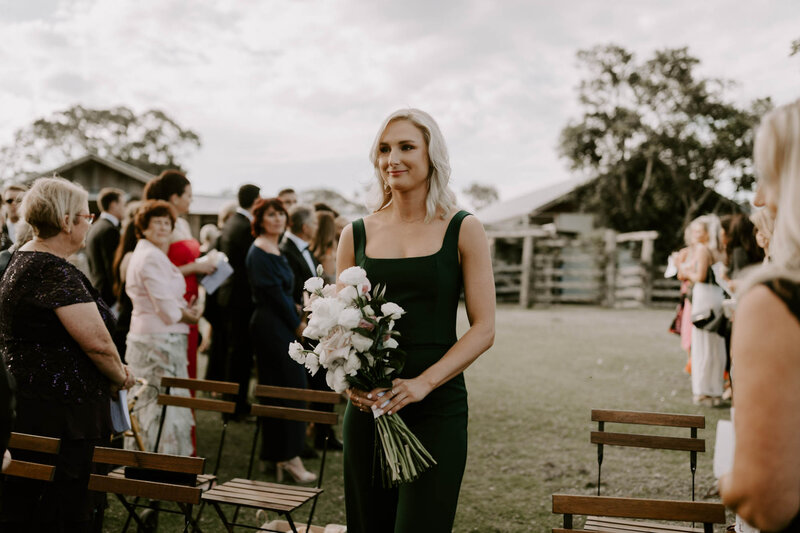 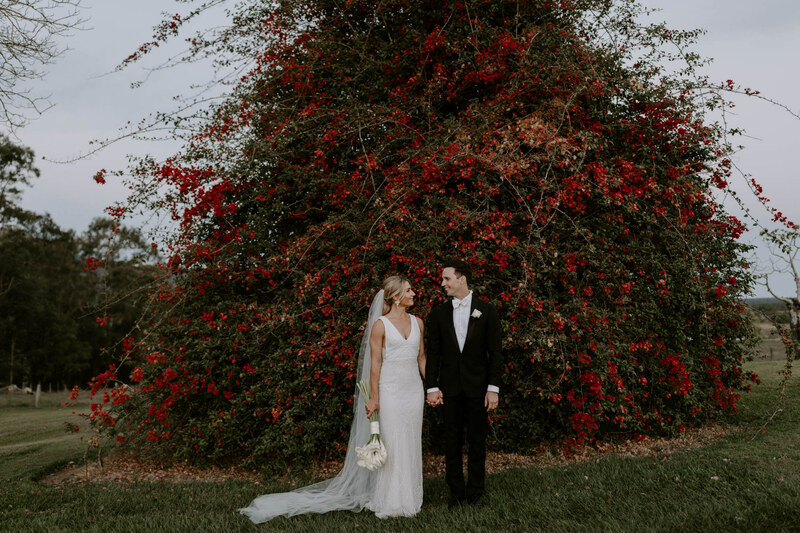 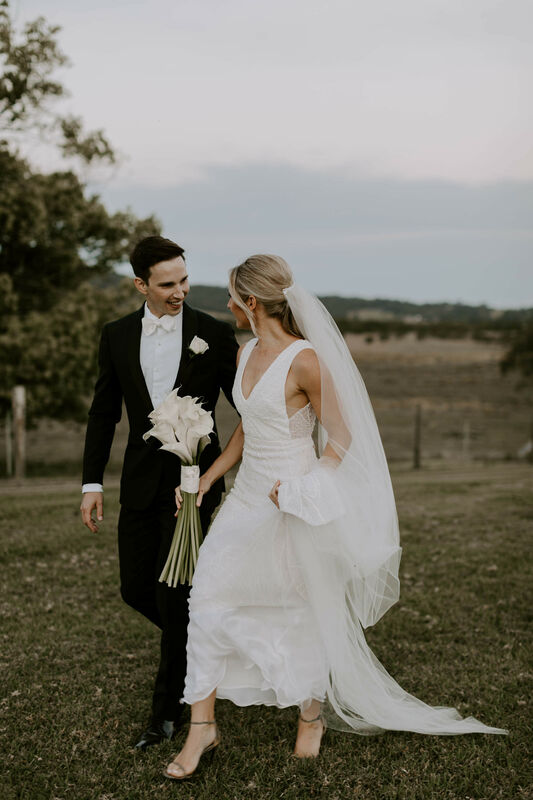 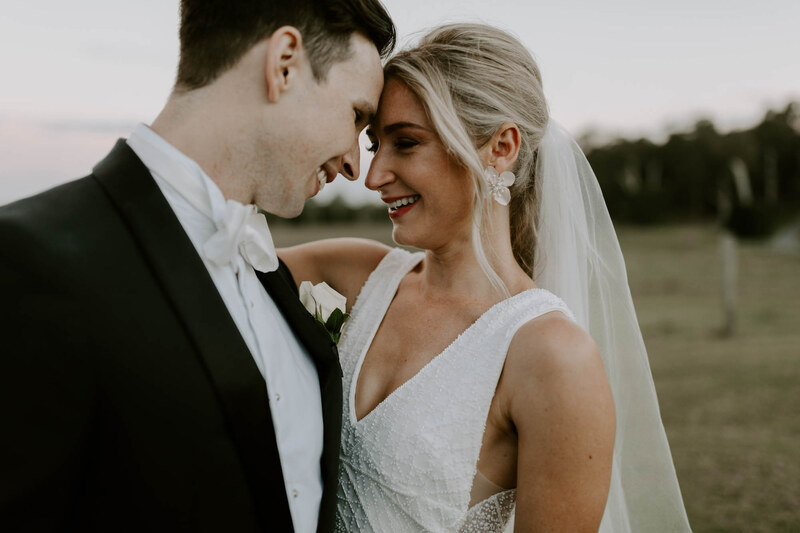 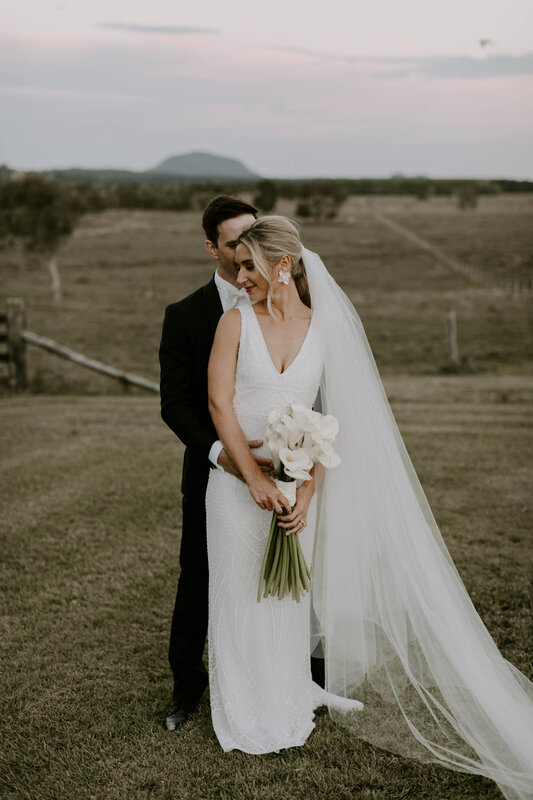 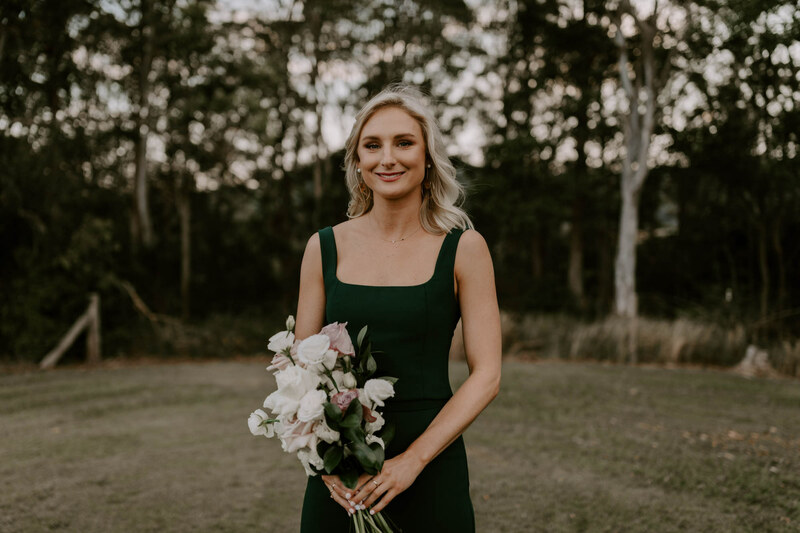 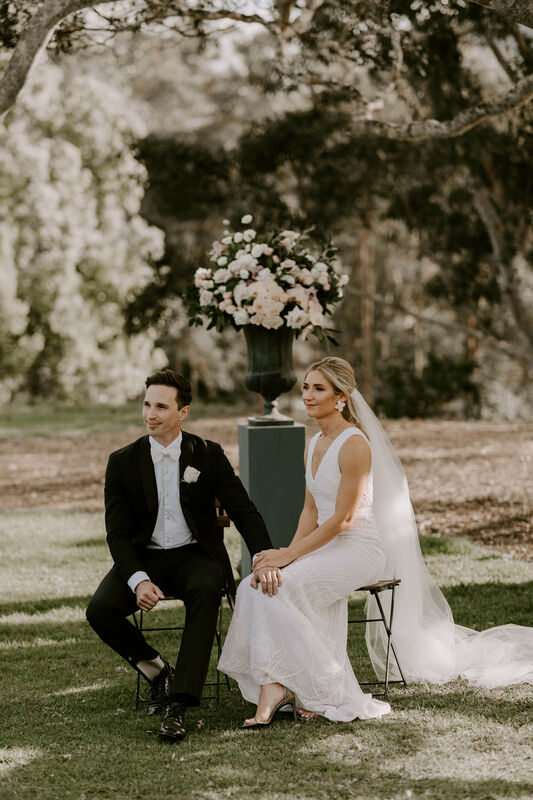 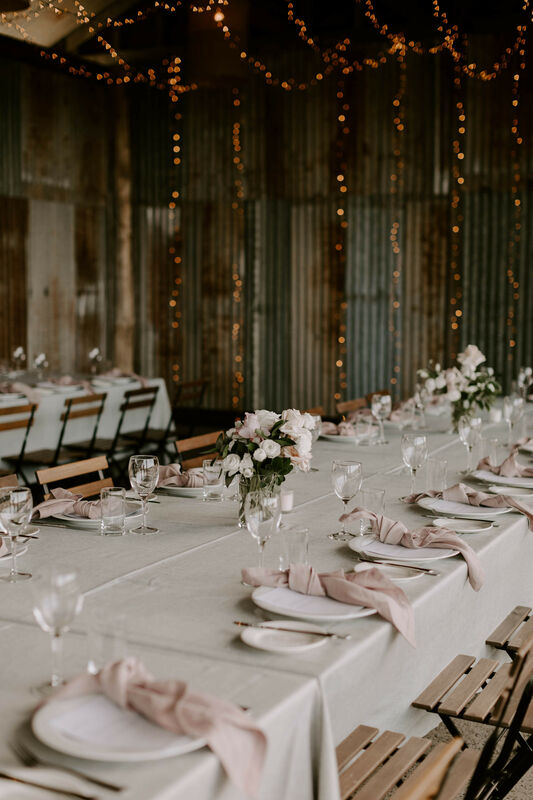 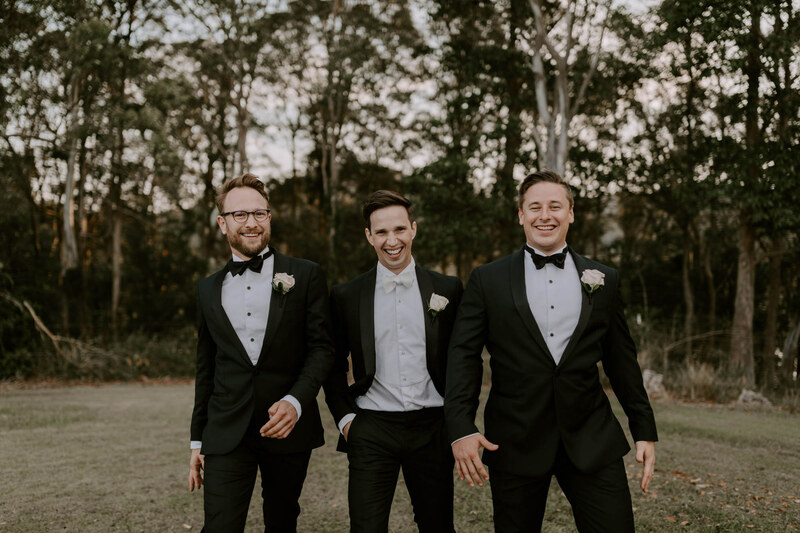 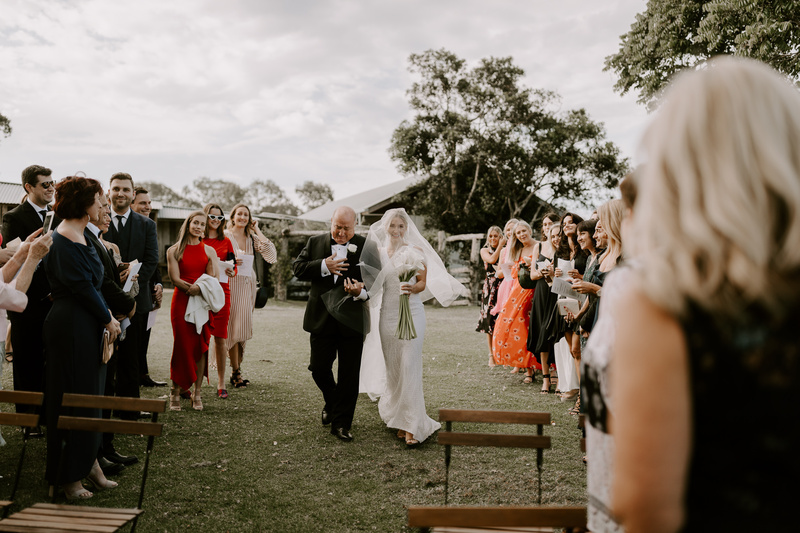 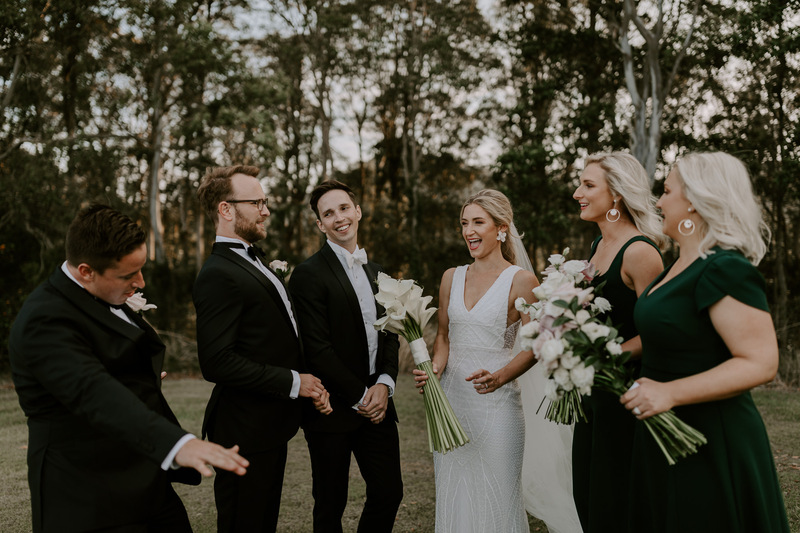 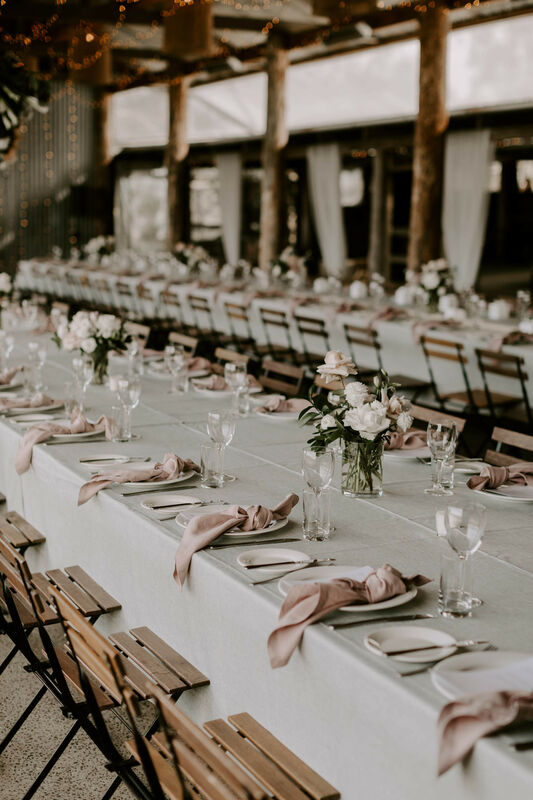 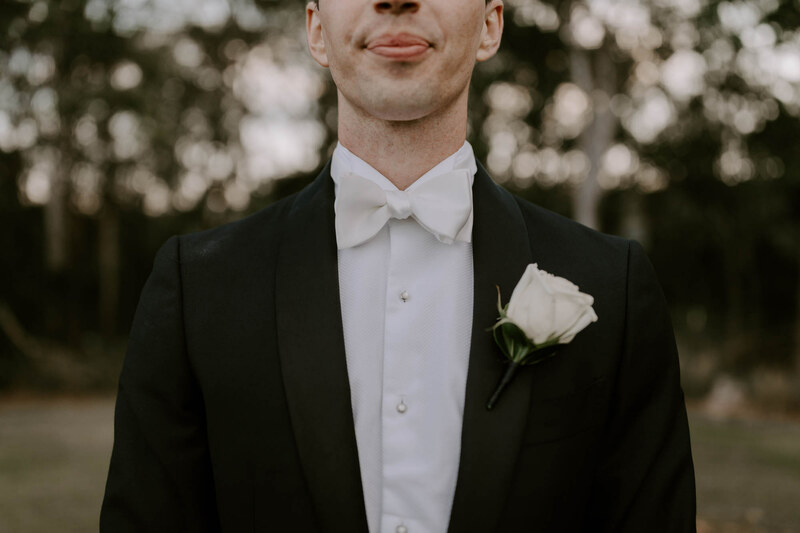 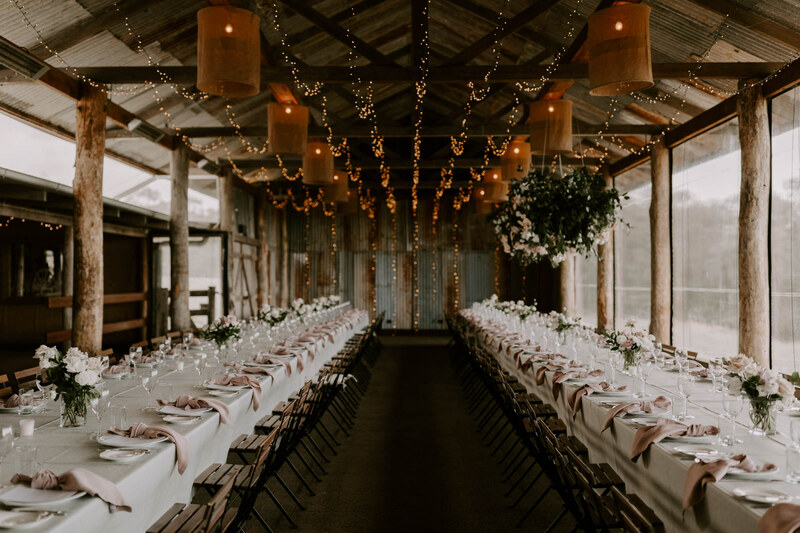 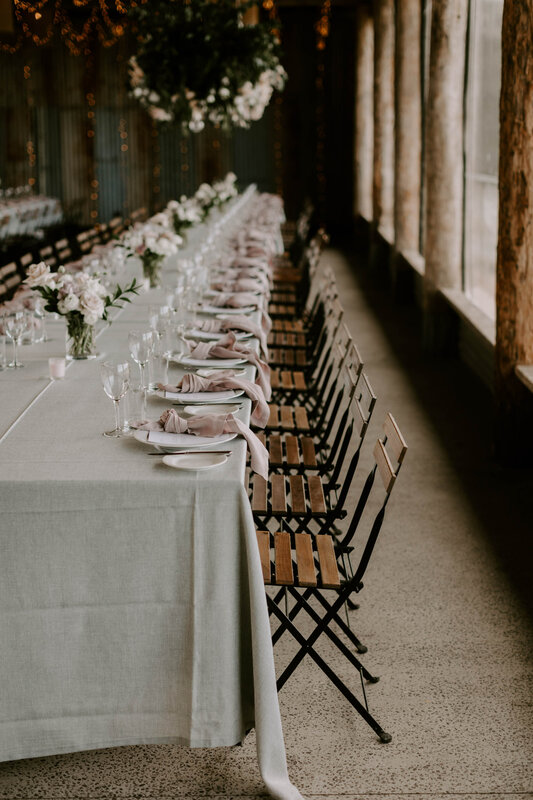 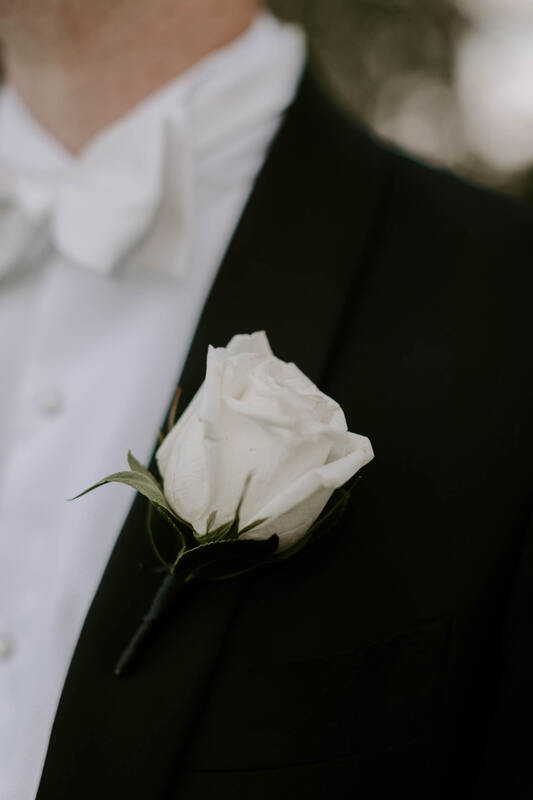 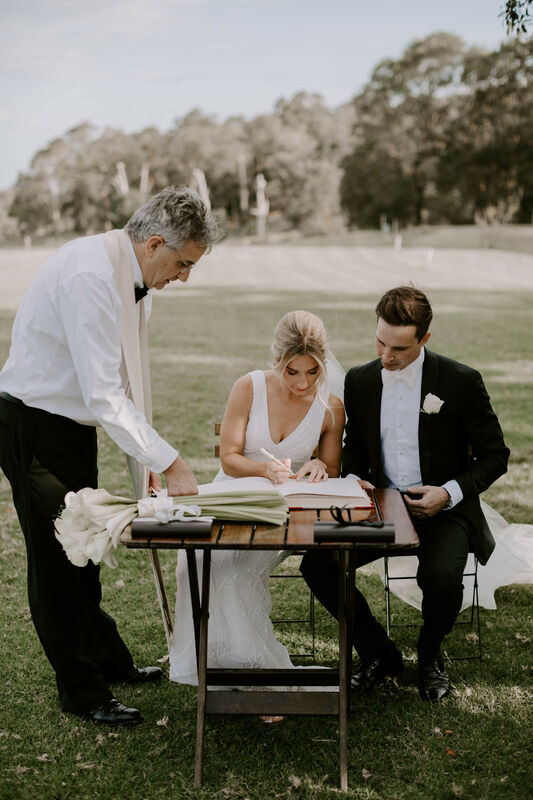 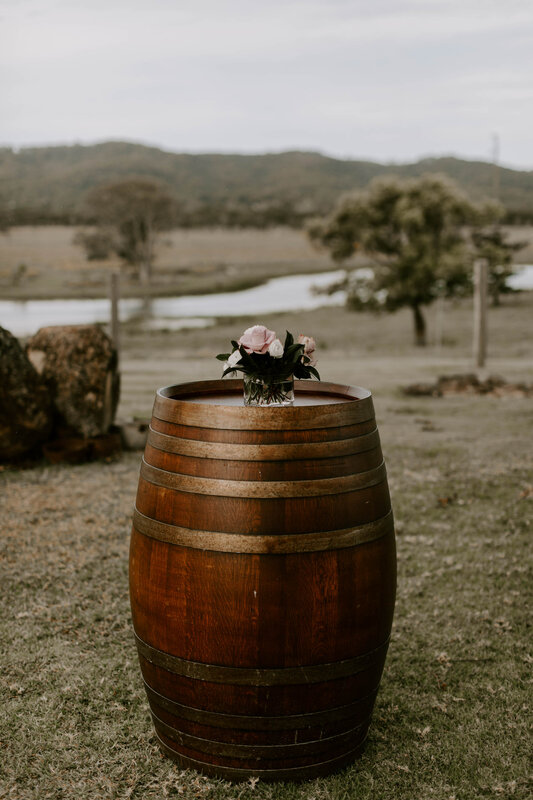 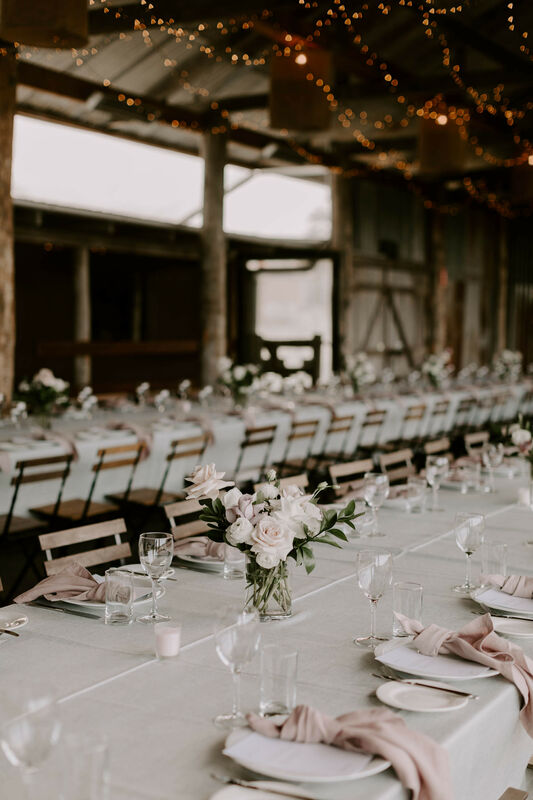 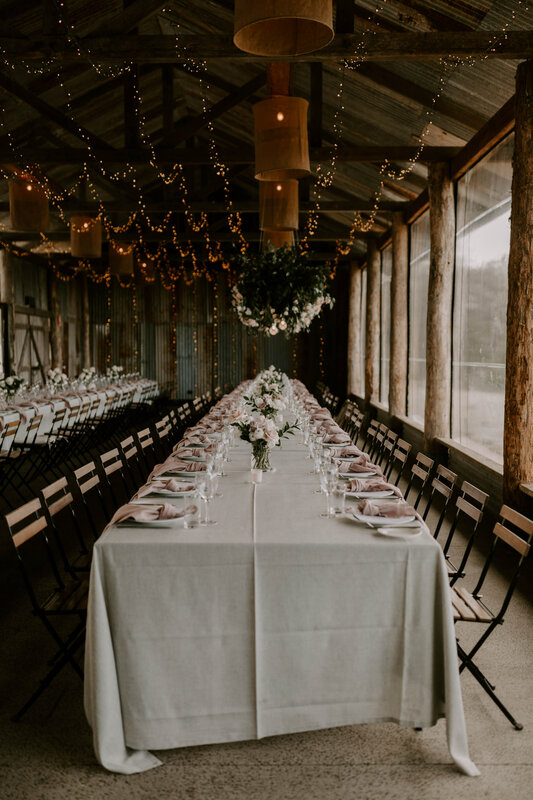 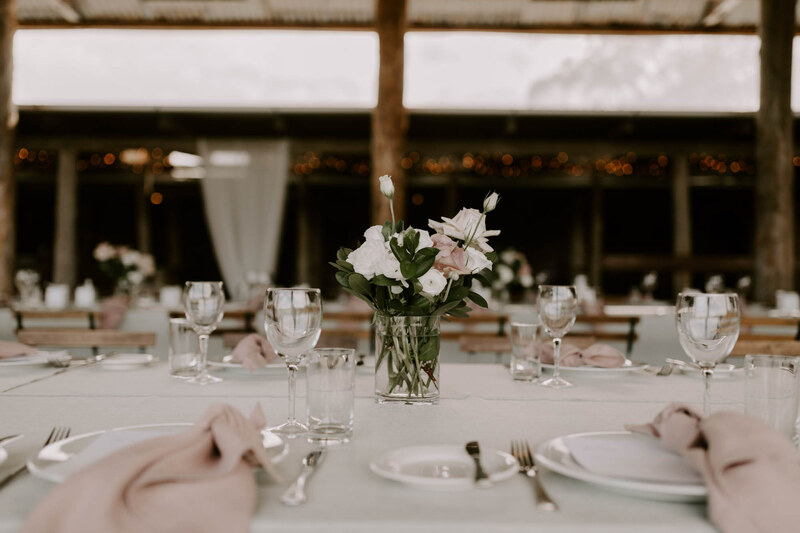 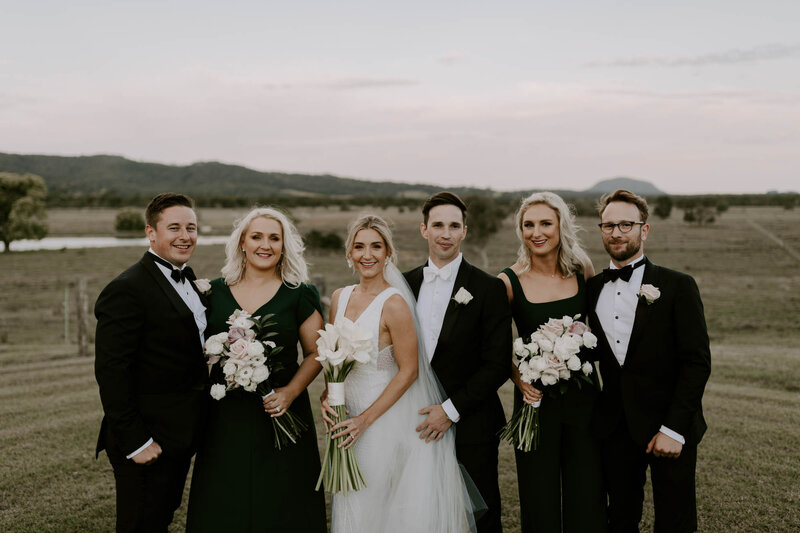 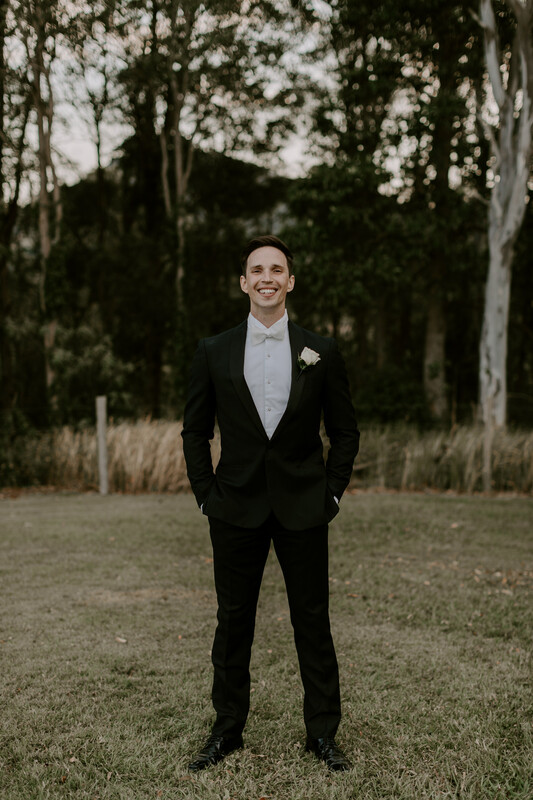 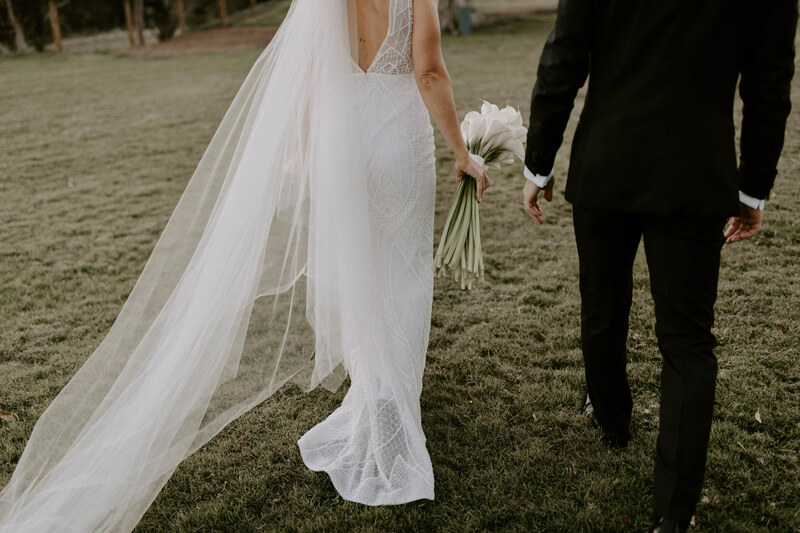 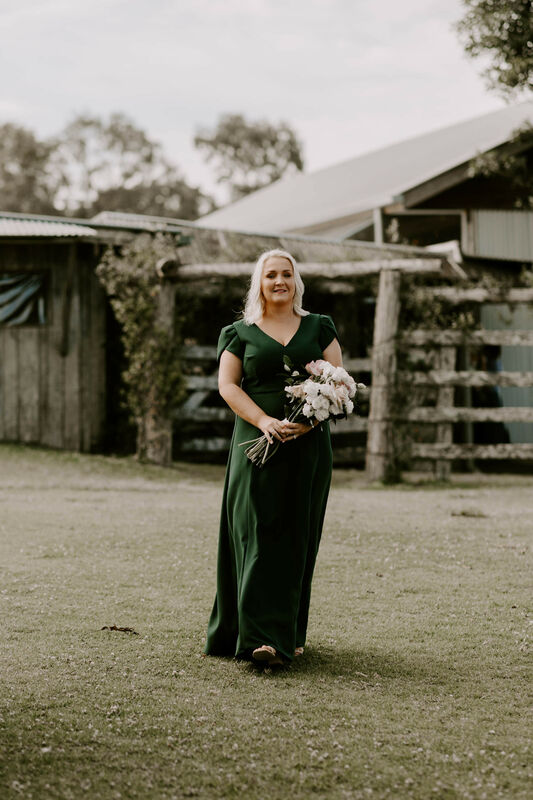 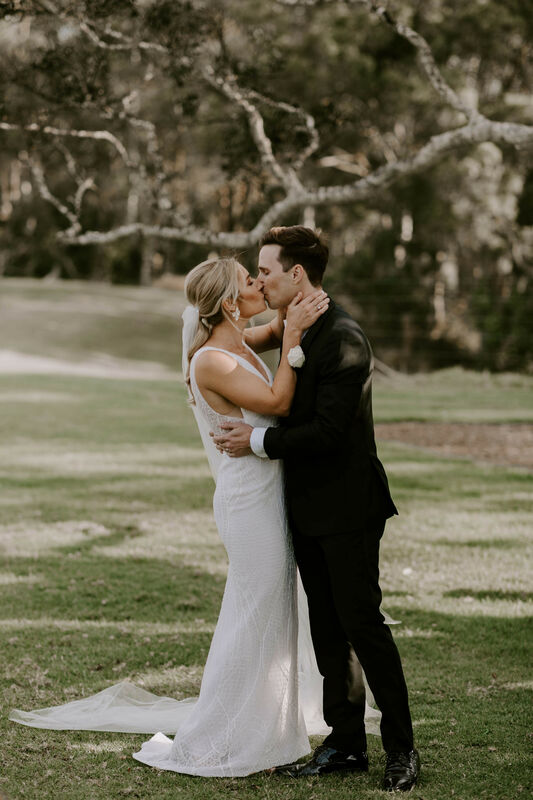 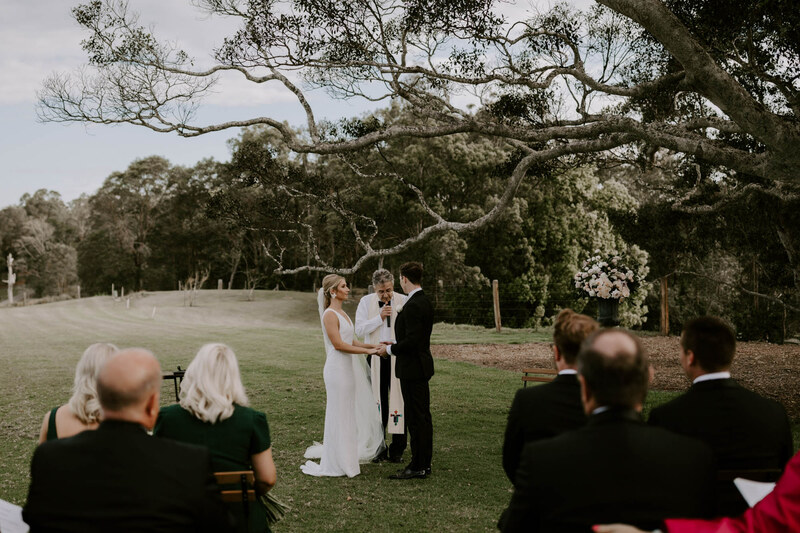 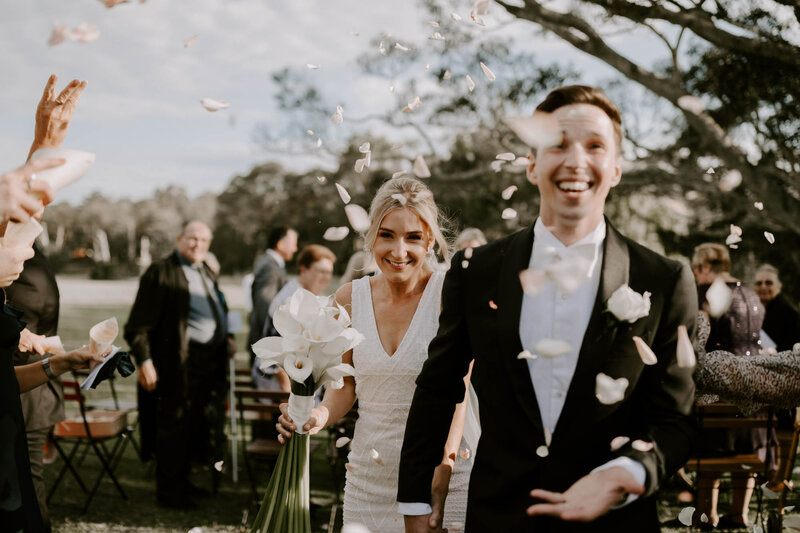 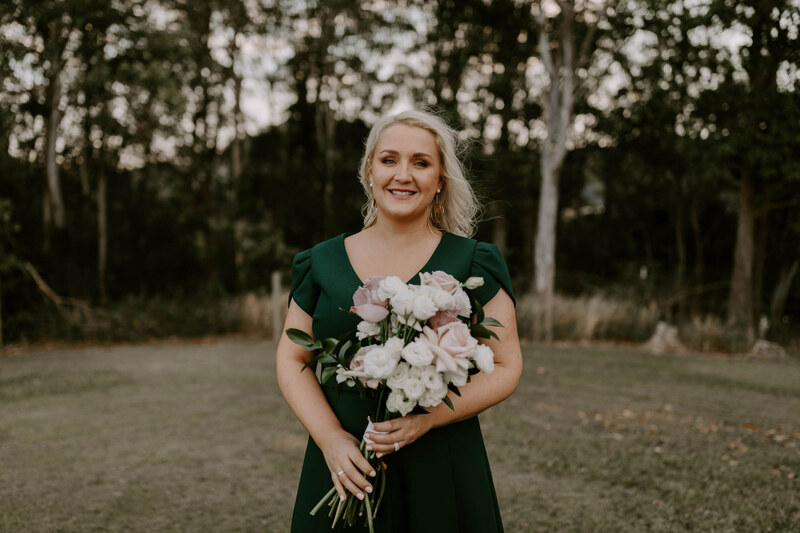 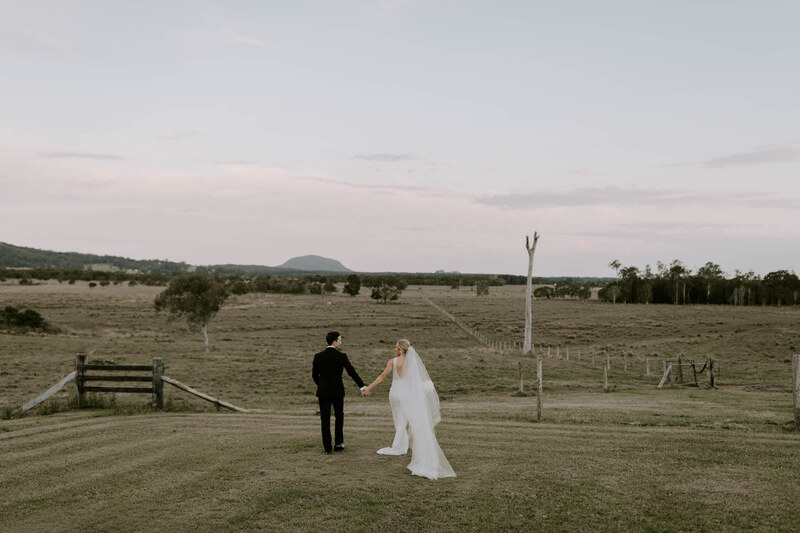 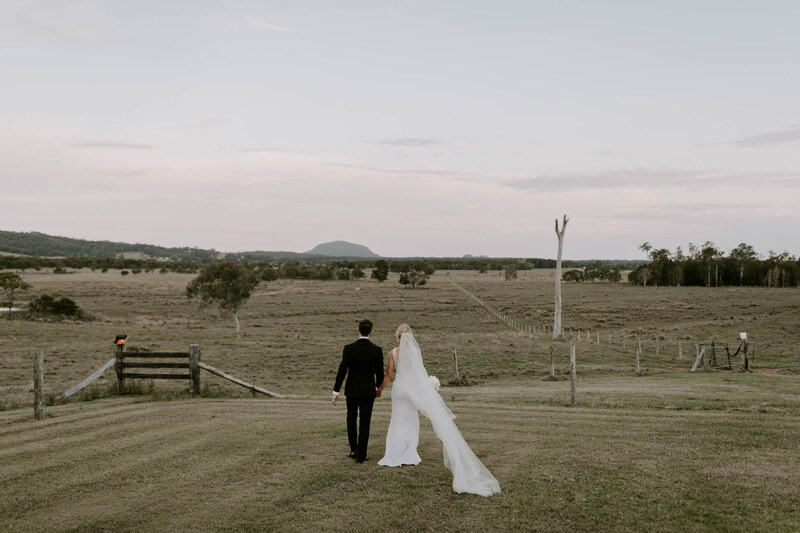 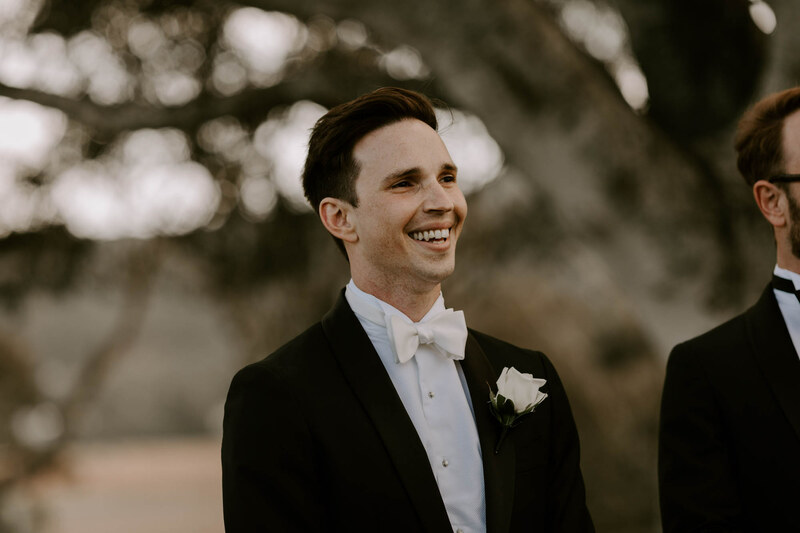 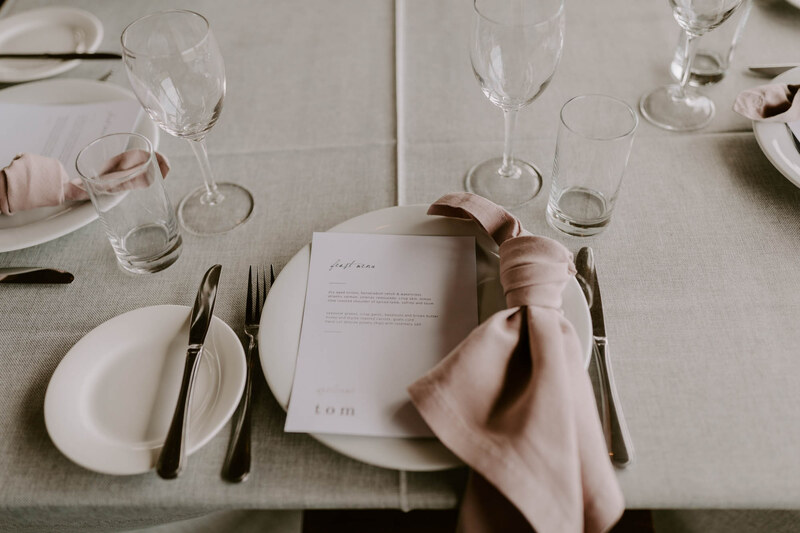 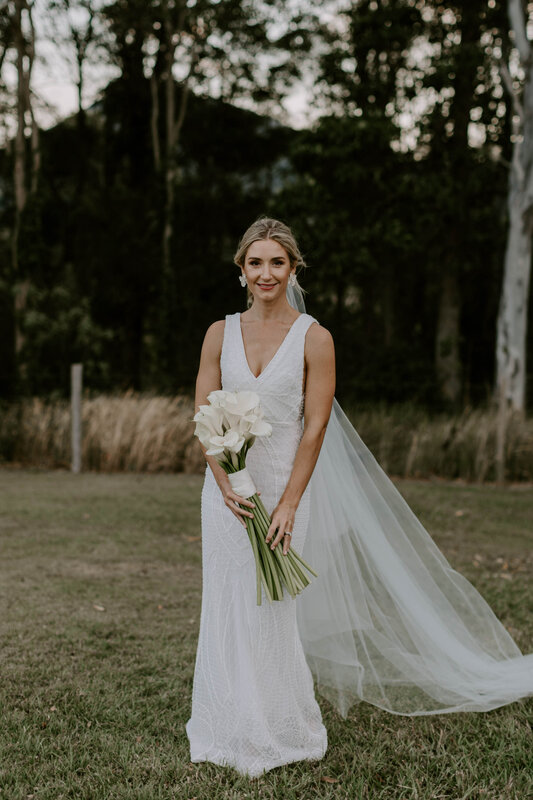 The boys had their own kind of sass going on with their stylish dinner suits, and the ceremony concentrated on that beautiful landscape and that feeling of the great outdoors that makes Yandina Station so wonderfully unique. 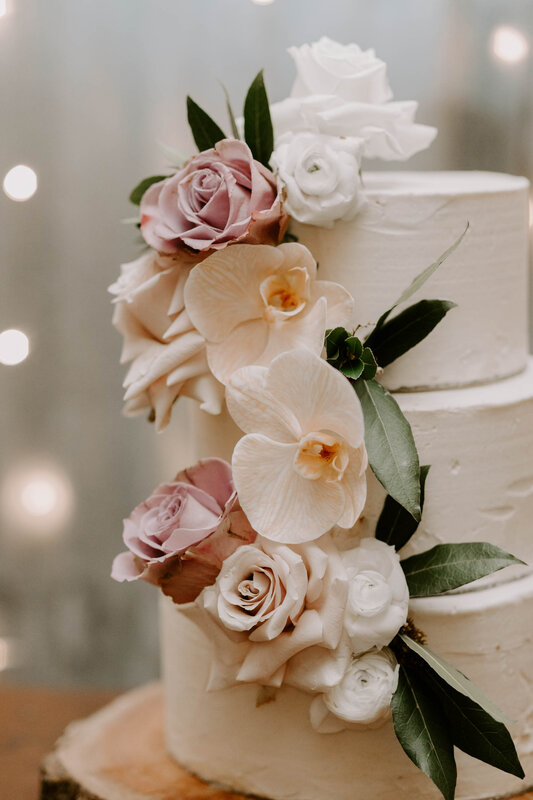 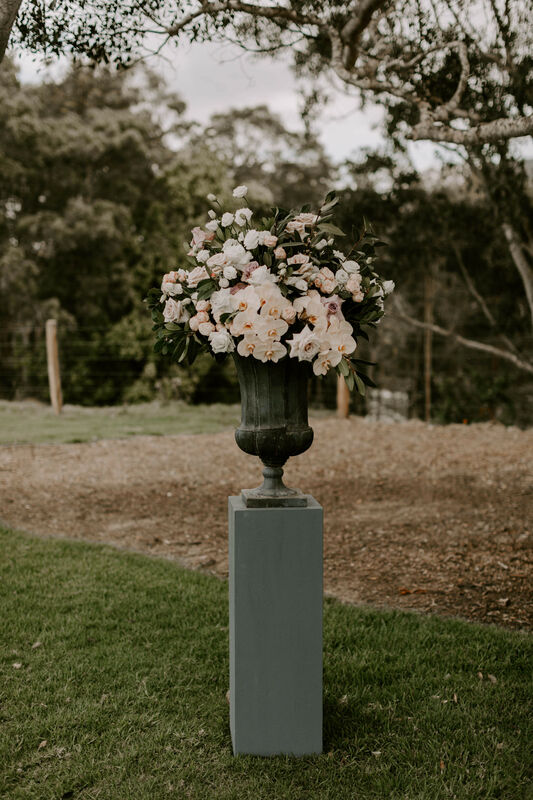 We created a stand alone pedestal design with grouped modern blooms, and touches of cascading orchids introduced the soft muted pastel colour palette perfectly. 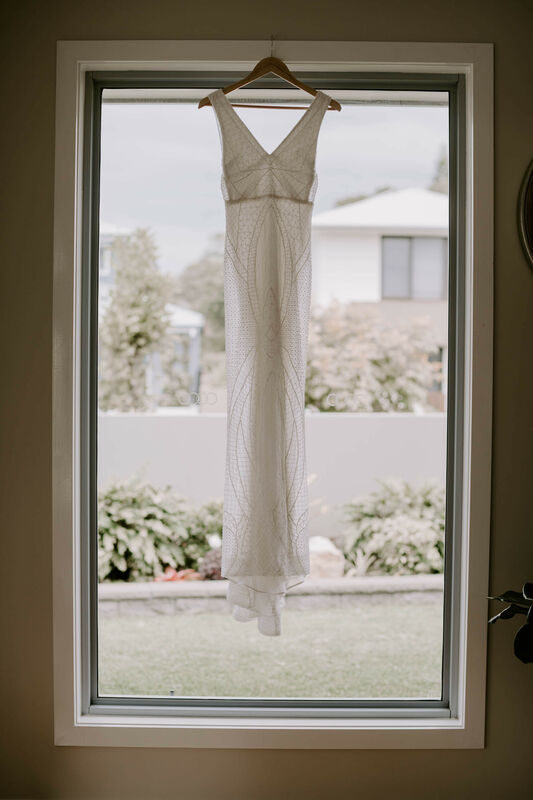 We loved the simplicity of this design. 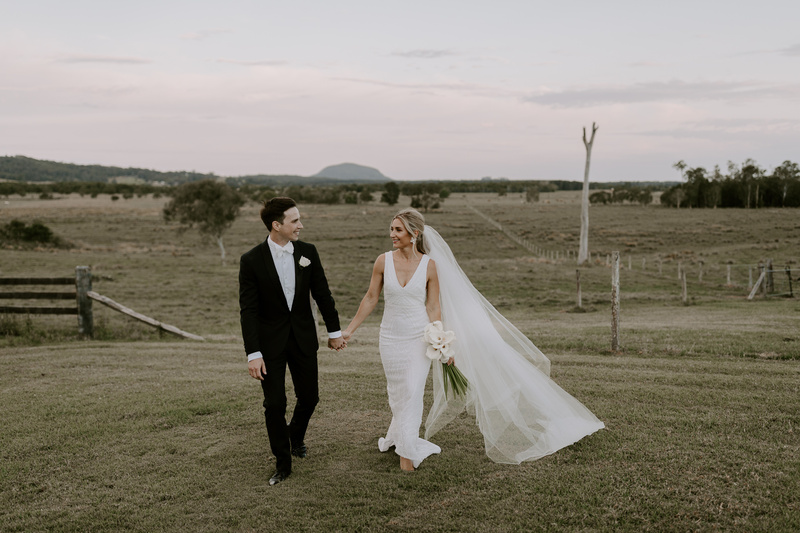 The sense of space, and how the beauty of this stunning rural property is highlighted, the pedestal design, simple sleek sophistication, and positioned to accent the grand ceremony space. 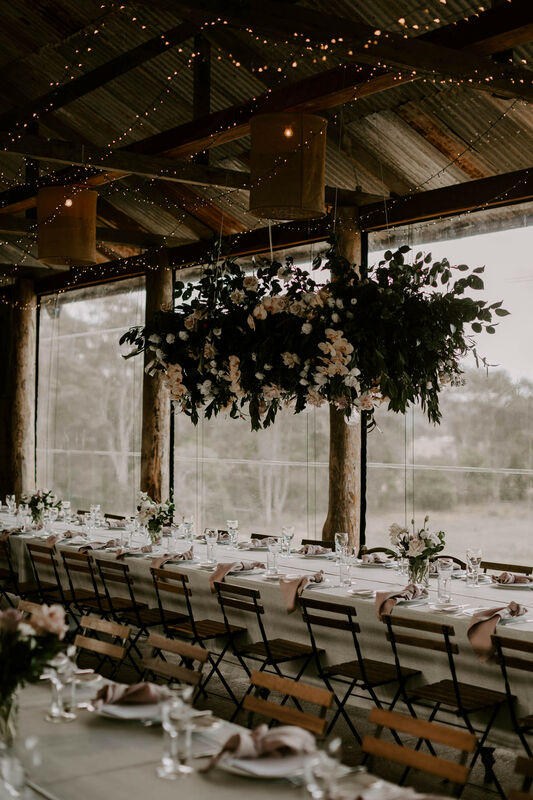 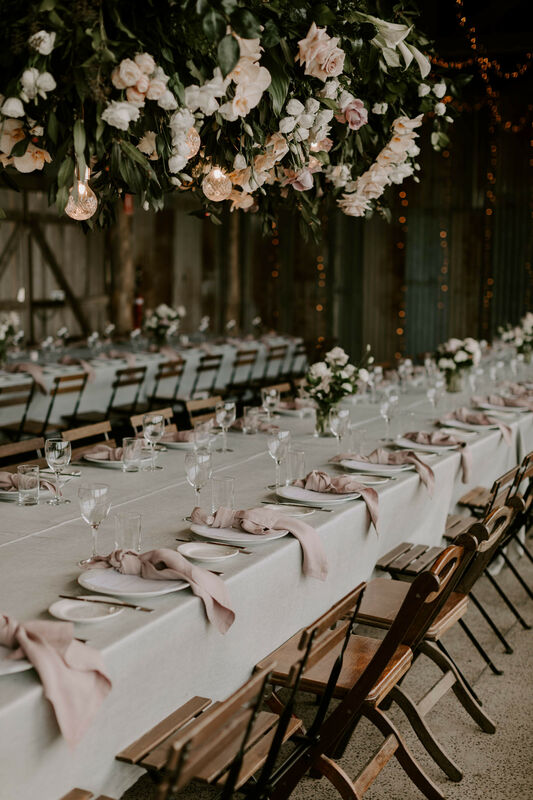 It’s not a Yandina Station wedding without hanging blooms from above! 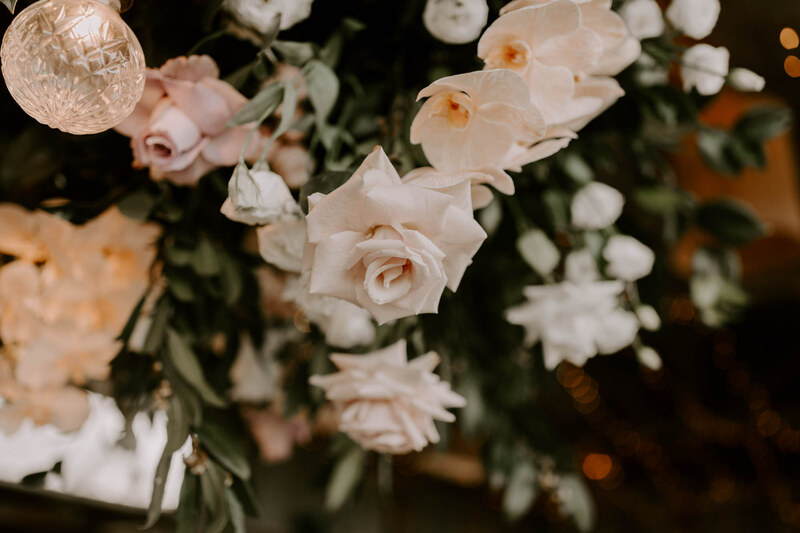 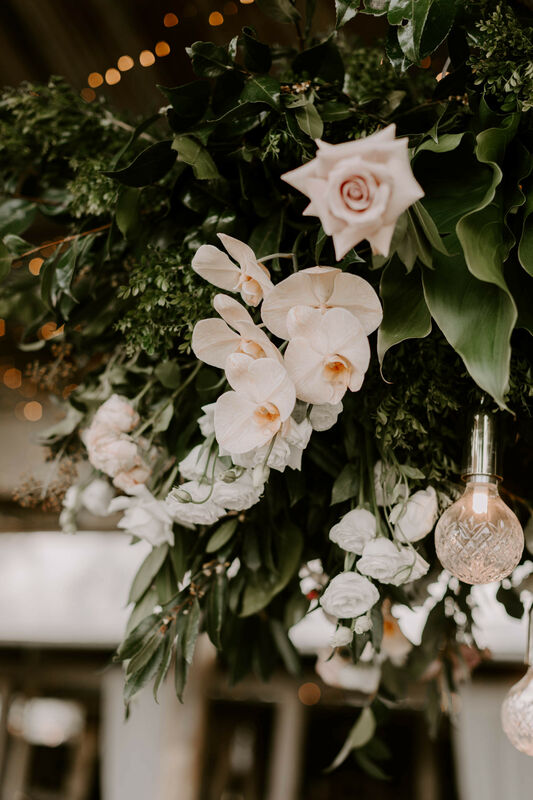 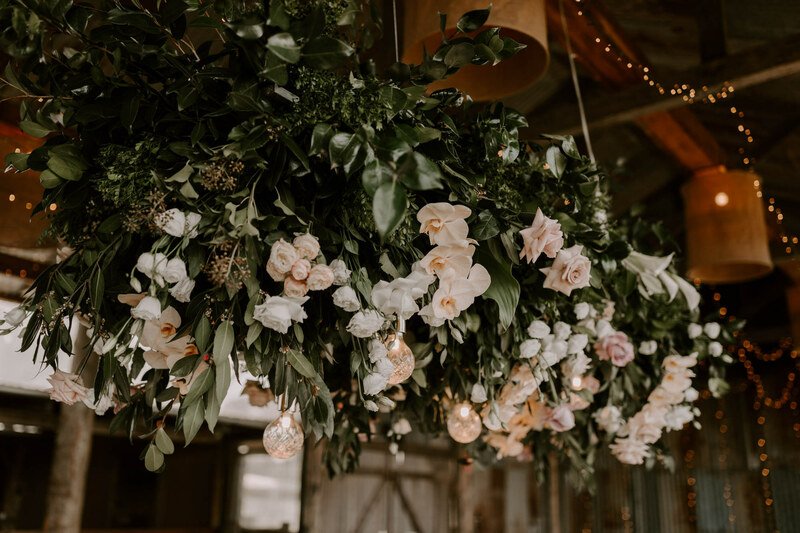 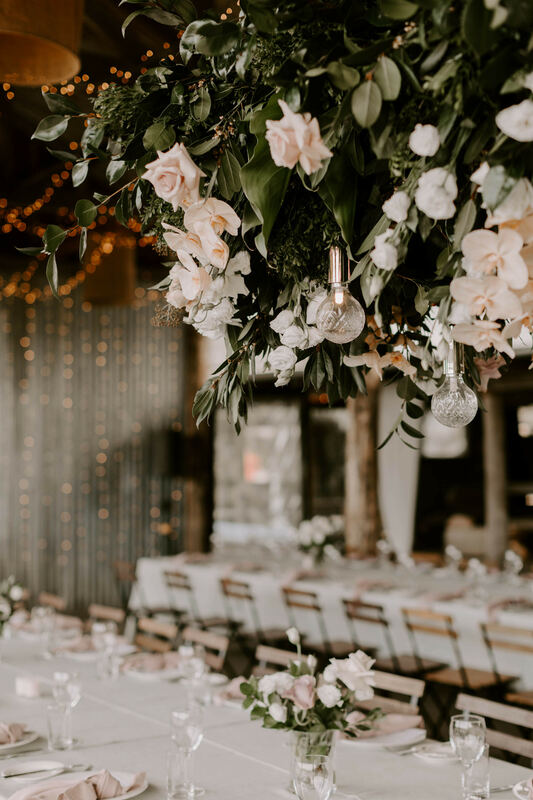 The reception of course featured a floral installation that was created to suspend over Morgan and Christian, with cascading blooms from above. 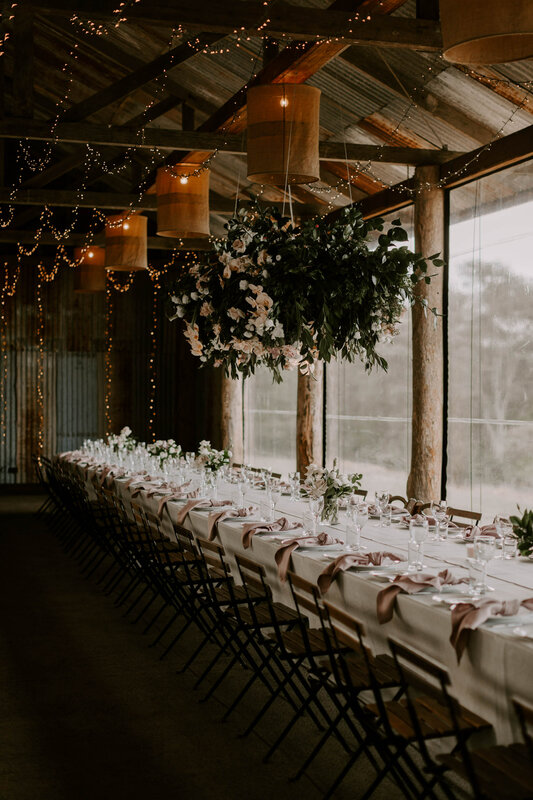 Contemporary glass vase designs were placed throughout the space, leaving plenty of room for food and platters and celebratory dining on the feasting tables. 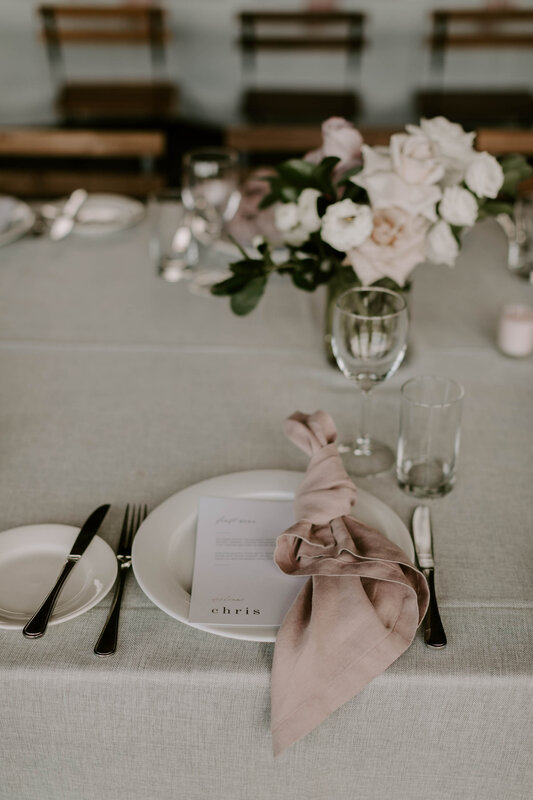 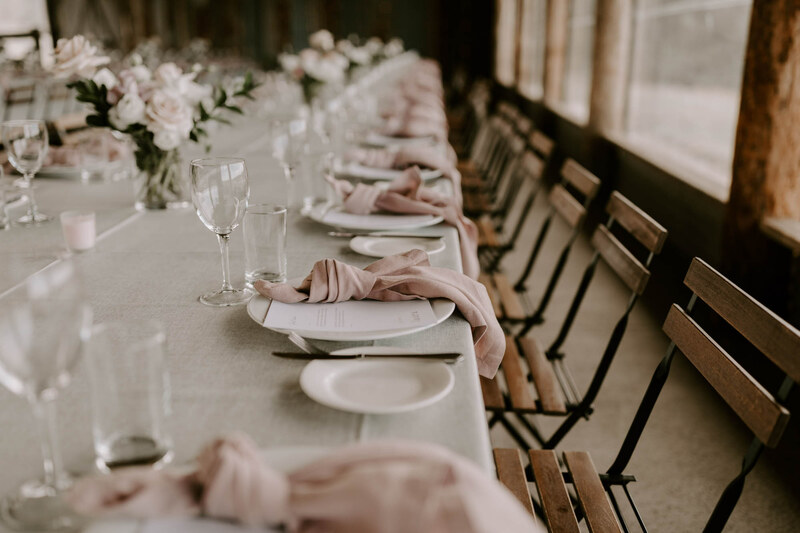 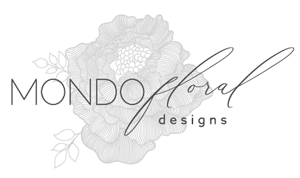 We loved the partnership of white, antique pink and touches of peach….. modern sleek, and simple sophistication. 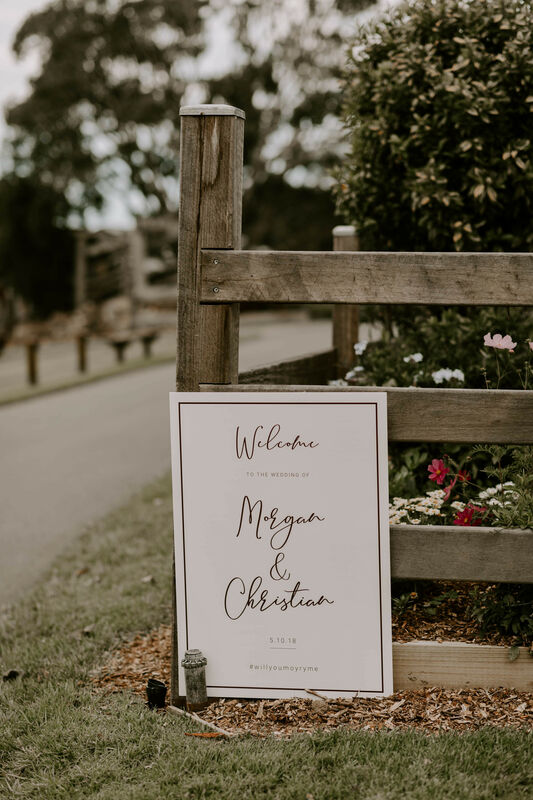 Congratulations Morgan and Christian your day was such a delight.